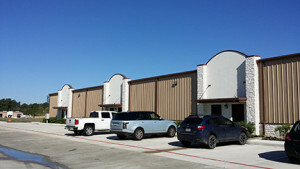 Property Info: Buildings 6,7, & 8 of Hanna Business Park are pre-leasing. Each building is 24,000 sf divisible to 3,000 sf. Grade-level dock bay from the warehouse portion. Air-conditioned office space. Pre-construction offers interior build to suit! Six short miles to the new ExxonMobil campus and easy access to I-45, Houston, The Woodlands and Bush Intercontinental Airport. Best light industrial in South Montgomery County.